Article was originally published in Education Week. The truth about the flight of teachers from our public schools has been obscured by lack of clear distinctions between schools of very different kinds. The loss of first-year teachers from suburban schools is not particularly high. In inner-city neighborhoods, by contrast, on the basis of my conversations with at least 200 of these young recruits, I would estimate that upwards of one-half decide to leave the school in which they’re placed by the end of their third year. This is why, in my newest book, which represents a year of correspondence with a highly motivated 1st grade teacher whom I call Francesca, I try to share with her the strategies I’ve learned from other urban teachers who have managed to resist the inclination to throw up their hands and leave their jobs, no matter what frustrations they experience. In these letters, I take issue with the common explanation, one I hear repeatedly from those who do not seem to know too many of these bright young people, that the major cause of their frustrations is an inability to relate successfully to children of minorities. At least in the case of the better-educated and more idealistic teachers—and there are more of them than ever nowadays—who come into the classroom steeped in civil rights traditions and the values of their frequently progressive parents, they enter public education with a purposeful and even preferential option for the children of the black and brown and poor. The most frequently reiterated reason for discouragement that they express has nothing to do with “relating to their students,” with whom they tend to strike an almost instantaneous rapport. Instead, it has to do with the systematic crushing of their creativity and intellect, the threatened desiccation of their personalities, and the degradation of their sense of self-respect under the weight of heavy-handed, business-modeled systems of Skinnerian instruction, the cultural denuding of curriculum required by the test-prep mania they face, and the sense of being trapped within “a state of siege,” as one teacher puts it, all of which is now exacerbated by that mighty angst machine known as No Child Left Behind. 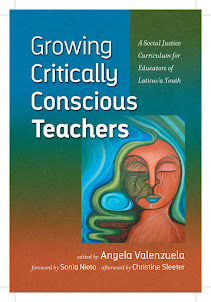 The challenge for such teachers, as they convey it to me in our conversations, is: (1) to hold fast to the pedagogic principles they value and the tenderness of their attachment to young people that has brought them to the classroom in the first place, (2) to do so in a way that will not isolate them in their schools and leave them feeling all the more discouraged as a consequence. I urge these teachers, for example, not to turn their backs on veteran instructors in their schools, a common error made by inexperienced idealists. Although, in any given school, there are bound to be some older teachers who may not be helpful allies or ideal role models for beginning teachers, the best among them bring a sense of personal stability and of assimilated selflessness into a school and, when younger teachers treat them with respect and turn to them as friends, typically respond with the protective kindness that can be a salvatory comfort for a novice teacher under stress. I also urge these teachers: Reach out as quickly as you can to the parents of your students, especially those parents who initially are least responsive. Give them your cellphone number. Visit them in afternoons or evenings. And, in the case of young white teachers serving children of minorities, learn to cross the lines of race and class in sensitive but determined ways that lower the barriers between your classroom and your children’s homes. Winning the solidarity of parents is one of the best ways, in my own experience, of building a structure of defense against potential critics in the upper levels of bureaucracy who may not appreciate a youthful teacher’s healthy instinct for dissent. Most of all, I encourage in these teachers a sense of what I like to call “enjoyable and mischievous irreverence” in the course of navigating those mandated miseries introduced by federal pressure into many inner-city schools but, at the same time, a mature sophistication and respectfulness in dealing with their principals, who often view the policies they must enforce with the very same distaste their younger teachers do. Many good principals, while they’d seldom say this openly at school, tell me in private that the burden of anxiety about the threat of sanctions that hang constantly like sharpened swords above their heads is leading them to foist upon their teachers practices they pedagogically abhor. Some tell me that they secretly applaud those teachers who are not afraid to undermine the stern intentionality of these mandated practices with thinly veiled lightheartedness, so long as they can teach the skills their students need and have a sensible regard for classroom management. They know these are the teachers who will not quit in despair. In Francesca’s case, none of this proved difficult, in part because she’d been superbly grounded both in educational techniques and in the critical consciousness derived from her immersion in political science and the other areas of liberal arts and sciences during her college years. She was also blessed with the kind of incandescent personality that won the adoration of her children almost from the minute that they walked into her room. Firm when she needed to be, she quickly learned that look of earned authority that, with a single glance, could bring a slightly wild and rambunctious little boy out of his periodic episodes of orbiting the room and get him back into his chair to work, reluctantly, at putting vowels in between his consonants, as 6-year-olds quite stubbornly refuse to do at first. But she never sacrificed the sheer aesthetic merriment of being with small children, and she built her literacy lessons not out of a scripted text of grunts and chants but, as much as possible, out of the words her children actually selected and enjoyed (“wiggly” and “wobbly,” when teeth were coming loose) or sometimes very big words, like “bamboozle” or “persnickety,” the sounds of which had stirred their curiosity when they had heard them spoken by their grandma, for example. Francesca, I am glad to say, refused to put those numbers on her wall because, she said, their only purpose was “to cover my rear end—they have zero value to my children.” And although her students mastered all the skills they needed to do well on their exams, she refused to turn her class into a test-prep factory or allow the fear of failure to be substituted, as a motivating principle, for the natural rewards of learning for its own inherent sake alone. Inspired teachers of young children, like Francesca, ardently refuse to see themselves as servants of the global corporations or drill sergeants for the state. They disdain to be regarded chiefly as technicians of utilitarian proficiency. And they stalwartly refuse to see their pupils as so many future economic units for a corporate society, into whom they are expected to pump “added value,” as the number-crunchers who determine much of education policy demand. Faced with these pathogenic pressures, teachers of young children in particular need to learn not only to prevail in the quite literal respect of keeping their jobs and staying in their schools, but also to retain their sense of playful energy and fascination in the unexpected offerings of all those pint-sized packages of whim and curiosity who are entrusted to their care. This is why I fervently encourage them, even in the most decrepit and depressive-looking of our urban schools, to fight with every bit of courage they command to defend the right to celebrate each perishable day and hour in a child’s life, which, in the current climate of opinion, may be one of the greatest challenges they have. Schools can probably survive quite well without their rubrics charts, their AYPs, and their obsessive lists of numbered categories and containers, reminiscent of the lists severe psychotics make in efforts to control the uncontainable and, for healthy people, wonderful disorder of reality. They can’t survive without excited teachers who take satisfaction in the beautiful vocation they have chosen. Keeping young teachers in our schools is of immense importance, but keeping them there with spirits strong and souls intact is more important still. If we lose this, we lose everything. Jonathan Kozol is a National Book Award-winning author of 12 books on education. His newest work, Letters to a Young Teacher, was released this week by Crown. The supportive network he recently created for teachers in the public schools may be reached at EducationActionInfo@gmail.com. Students in the kindergarten classes at Carrboro Elementary School walked away from their first day of school Monday with some interesting reading material. "La Oruga Muy Hambrienta" might not ring a bell, but perhaps "The Very Hungry Caterpillar" does. Each student received both an English and Spanish edition of Eric Carle's children's book, which has sold 12 million copies since 1969. "If you get presented with a Spanish book that you're not fluent enough to read, it opens up a whole new world," said parent Kirsten Barker, who first brought the idea to the school last spring. Barker has two students at Carrboro Elementary and is on the school-improvement team. The book program is part of the school's continuing efforts to raise literacy test scores and is typical of the school's bilingual culture, where the automated phone service helps visitors in both English and Spanish. Most signs in the school are posted in both languages. Principal Emily Bivins said about one-third of the school's population speaks Spanish at home. Data from Chapel Hill-Carrboro City Schools indicate that at the start of the last school year, 96 of the 532 students were Hispanic. One of the school's most notable efforts is its 227-student dual-language program, where a mix of native Spanish- and English-speaking children learn in both languages. The program, which just added a fifth-grade component, has equal amounts of teaching done in Spanish and English. "They're learning in the language, not just learning the language," said Shawn Williams, a kindergarten-level dual-language teacher. The school's focus on literacy and bilingualism has another driving force. In past years the school has not met certain requirements mandated by No Child Left Behind. "We're held extremely accountable," Bivins said. Bivins said that part of the reason for the school's problems is that the tests do not take into account a child's native language. In fact, they set benchmarks for minority groups, and if they are not met, the school can be considered "failing." Eighty-nine percent of Carrboro Elementary students were considered proficient by the English language comprehension test, but only 62 percent of Hispanic students at the school achieved proficiency. "I think you have to have accountability for children's progress, but you have to look at the demographics of the school," Williams said. "When you know that language acquisition takes five to seven years, I think that must be taken into account," Williams added. But dual-language programs might help improve literacy scores. "Research indicates that kids that learn in two languages have higher academic skills than their peers," said Miriam Casimir, a veteran teacher of the Carrboro dual-language program. Dual-language students may lag behind other classes at first, but by the third year they tend to equal and surpass their peers, even on end-of-year tests, Casimir said. "The Very Hungry Caterpillar," which delighted students and parents alike, might just be the crest of the wave. "They learn to appreciate another culture and language," Williams said. "What a powerful thing in our society, to be multilingual." LeapFrog Enterprises, Inc. , today announced the release of Leapster(R) Story Explorers. Designed primarily for early-proficiency students in grades K-3, the award-winning program is the first curriculum for English Language Learners (ELLs) developed for an interactive handheld platform. Multiple learning levels, tailored tutorials for usage and curriculum, and a wide variety of engaging learning activities enable students to develop essential skills in language and story comprehension as well as basic early reading skills. Leapster Story Explorers offers instruction and skill practice in vocabulary, phonemic awareness, language structures, and comprehension at English language proficiency levels 1-2. The program integrates English language content with Spanish audio support, ensuring that students can proceed through the program even if their teacher is not fluent in Spanish. Additionally, the program enables teachers to track each student's progress to maintain accountability, and adjust the curriculum for a more customized learning experience. After reviewing Leapster Story Explorers just prior to launch, Children's Technology Review bestowed their Editor's Choice Award on the product, an honor that is presented to the highest quality children's products in interactive media, as judged by a team of parent/teacher testers. According to Children's Technology Review, these award-winning solutions are "no fail" products, worthy of their cost, and able to keep children engaged for days at a time. Leapster Story Explorers expands the family of Leapster Portable Technology Centers (PTCs), which also includes grade-level kits that provide instruction and practice in reading, math, spelling, and critical thinking curriculum for students in grades K-2. Leapster software delivers leveled skill practice in engaging formats with tutorials and structured hints for students, adapting to a student's abilities so the lesson avoids being too easy or too difficult. The Leapster PTC allows educators to add affordable, easy-to-use technology centers that encourage small-group instruction or individual student-directed learning. The basic Leapster PTC kit supports up to 21 students with five Leapster handheld units, seven Leapster cartridges, headphones, AC adapter, and a power strip. Kits also include 21 Student Practice Books to expand upon the software content and provide additional opportunities for practice and skill mastery. "Our growing, award-winning curriculum on the Leapster handheld offers one of the most engaging instruction options available to students today," said Mike Lorion, president of LeapFrog SchoolHouse. "Leapster Story Explorers enables English Language Learners to become engaged, work on important academic objectives, and gain more confidence in their school experience." A 2007 study conducted in Richmond, CA showed that the Leapster PTC significantly enhanced student performance on key early literacy and comprehension skills. In the study, second grade English Language Learner (ELL) students used Leapster Story Explorers for a period of 33 instructional days. Students at beginning and early intermediate language proficiency levels were tested before and after program use, demonstrating significant growth in comprehension skills (30% gain) and phonemic awareness skills (22% gain) over the 6-week implementation. "Leapster Story Explorers is a wonderful tool for students and teachers," said Natalia Del Pozo, a teacher who participated in the study. "After spending 20 minutes a day with the program, my students' oral and phonics skills improved a great deal. With Leapster, I can easily track my students' progress and focus on the skills that need improvement." Leapster Story Explorers is the latest addition to the LeapFrog SchoolHouse suite of solutions designed for English Language Learners, which includes: the English Picture Dictionary for Spanish Speakers, the Language First! (TM) Program, and the English Learner's Family Involvement Kit. The nation’s public schools are poised to welcome an unprecedented 49.6 million pre-K-12 students as the school year opens, but whether individual school districts see an increase in students depends a great deal on where those districts are located. The increase—a projected rise of 1 million this fall from the 2005-06 school year, the most recent national numbers available from the federal government—continues a 10-year trend, with statisticians predicting that schools in the West and the South will receive more students, while schools in the Midwest and the Northeast will experience a decline. “Immigrants are moving to the West and South. Minority populations of American-born people are very heavy in the West and South— and these are people with more children per household than the rest of the country,” said Harold L. Hodgkinson, an Alexandria,Va., demographer who studies the impact of population trends on education. In particular, he added, the rising number of Hispanic youngsters in the United States is fueling overall growth in enrollment and is expected to do so for at least two more decades. But when it comes to particular school districts, those broad patterns can play out very differently; administrators in some districts that have already started classes report enrollment that doesn’t match national trends. While enrollment is on the upswing in the South, for example, the Atlanta public schools and the Dougherty County schools in Albany, Ga., are losing students to suburban districts. And while enrollment is generally declining in the Northeast, Superintendent Sal V. Pascarella, of the 10,000-student Danbury, Conn., school system, reports that his district has just completed a study projecting that enrollment will increase by a few hundred students over the next five years. “The individual districts do have markedly different patterns,” said Tom D. Snyder, the director of annual-report programs for the National Center for Education Statistics, in a word of caution about understanding national statistics. The country has been breaking new records each year in pre-K- 12 public school enrollment since 1997, when a record of 46.1 million students was set, according to Mr. Snyder. Before that, the previous record was set in 1971, with 46 million students, as the children born in a “baby boom” following World War II got their education. In the 1970s, enrollment declined and didn’t start steadily increasing again until the mid-1980s. This fall, Mr. Snyder said, the number of public prekindergarten and elementary school pupils will increase by 0.6 percent over projected enrollment for the previous school year, and the number of secondary school students will increase by 0.2 percent over the previous year. He added that while elementary school students make up a slightly larger share of the projected increase for this school year, that bulge will likely grow in the next few years as larger groups of children are expected to enter elementary school. The NCES, an arm of the U.S. Department of Education, uses U.S. Census Bureau data and its own statistical methods to project enrollment. The organization usually releases actual enrollment figures about 1½ years after the schools collect the data. The NCES doesn’t project the ethnic and racial makeup of student enrollment, but actual figures for that makeup through the 2005-06 school year illustrate patterns that some demographers say are likely to continue. Those figures show that the share of enrollment for Hispanic and Asian/Pacific Islander students grew rapidly, while that of non-Hispanic whites declined. In the 2005-06 school year, for example, 19.8 percent of the student body nationally was Hispanic, up from 13.5 percent a decade before. The proportion of student enrollment that was Asian or Pacific Islander increased to 4.6 percent, from 3.7, in those same years. The share of non-Hispanic black students grew slightly, to 17.2 percent from 16.9 percent. Meanwhile, the percentage of non-Hispanic white students decreased to 57 percent from 64.7 percent in that same 10-year period. The Pew Hispanic Center projects that the number of schoolage children will increase by 4.8 million by 2020, and that 4.7 million of those children will be Hispanic, meaning that Hispanic children will account for 98 percent of the growth. But such growth is not evenly distributed, according to Richard Fry, a senior research associate at the center, a Washington-based organization that studies the impact of Latinos on the nation. He conducted a study showing that 10 percent of the nation’s schools absorbed about 75 percent of all Hispanic growth from the 1993-94 school year to the 2002-03 school year. His current research also shows that that 86 percent of Hispanicstudent enrollment took place within 100 metropolitan areas. One of the fastest-growing school districts in the country, Nevada’s Clark County system, which encompasses Las Vegas, reflects the national trend of growth in Hispanic enrollment. “There has been a booming housing market. We do have an influx of immigrants,” said Jaime L. Lea, a public-information specialist for the Clark County school system, which has grown by about 12,000 students a year for at least a decade. She said that for the 2007-08 school year, enrollment is expected to be 314,400 students, up from about 302,800 last year. The district was to open nine new schools and two replacement schools on Aug. 27, the scheduled first day of school. Ms. Lea said the district hires some 2,000 to 2,500 teachers a year, and as of last week, still had vacancies for 393 classroom teachers. In other growing areas, administrators say factors such as economics and even school test scores account for the increased enrollment. Lawrence T.Walters, the superintendent of Lee County, Ga., school system, which started school Aug. 10, said the district’s enrollment of 6,100 is up by about 200 from the 2006-07 school year. Most of the growth is coming from middle-income white families moving to the area because of its “quality of life and schools,” he said. He believes families have chosen to move to Lee County, in part, because the word has gotten out that every school in the district has made adequate yearly progress every year under the federal No Child Left Behind Act. Meanwhile, Georgia’s Dougherty County—a neighboring district to Lee County that has 16,500 students this school year—has been losing 50 to 100 students each school year for several years, according to Brenda Horton, the public-information director for the school district. She said the middle- income population of Albany, which is in Dougherty County, is tending to move out of that city to more rural counties around it. The 18,900-student Beaufort County district in South Carolina, by contrast, has seen student growth both from middle-income families and lower-income Hispanic households. In South Carolina, school systems such as the Beaufort County district and the Richland 2 school district near Columbia have been successful in persuading their communities to pass bond referendums to pay for new schools. But in other parts of the country where enrollment is declining, administrators are trying to figure out how to pay for basic operations. Mary Stadick Smith, the communications director for the South Dakota Department of Education, said the nature of agriculture is changing, and young people are not staying in the state’s rural areas. Enrollment is declining in South Dakota except for a few urban areas such as Sioux Falls, she said. South Dakota’s enrollment has dropped by about 1,000 students every year for the past several years, said Rick Melmer, the secretary of education for the state, which the NCES categorizes as part of the Midwest. For a state that now has 120,000 students in K-12 schools, that’s a significant decline. The leaders of the House education committee issued a highly anticipated draft bill last week to reauthorize the No Child Left Behind Act. But dozens of other lawmakers beat them to the punch. Members of Congress have introduced more than 100 bills to amend the main federal law in K-12 education, according to Joel Packer, the chief NCLB lobbyist for the National Education Association. While some of those bills would revise one or more provisions of the 5½-year-old law or add new programs, a handful would go much further by comprehensively reworking its accountability system. The breadth and diversity of the legislation point to the challenges that confront Rep. George Miller, D-Calif., the chairman of the House Education and Labor Committee, and Sen. Edward M. Kennedy, D-Mass., the chairman of the Senate, Health, Education, Labor, and Pensions Committee, in crafting reauthorization plans that will be able to garner enough support in both chambers. Rep. Miller on Aug. 28 released a “discussion draft”Requires Adobe Acrobat Reader of a reauthorization bill that includes many significant proposed changes. The other members’ measures range from a bill introduced last month by Sen. Richard M. Burr, R-N.C., and Sen. Judd Gregg, R-N.H., that would keep much of the current law intact, to a bill sponsored by Rep. Scott Garrett, R-N.J., that would allow states to opt out of the federal accountability plan entirely. If a state chose to opt out, under Rep. Garrett’s bill, the federal government would set aside the money allocated for its federal K-12 education programs to be provided to state residents in the form of tax credits. While lobbyists who lent a hand in crafting some of the reauthorization measures acknowledge that Sen. Kennedy and Rep. Miller are best positioned to put their stamp on the next version of the NCLB law, they say bills introduced by other members of Congress can help shape the broader debate. Getting the bills out there “gives you an opportunity to build coalitions around big ideas,” said Gary M. Huggins, the director of the Washington-based Aspen Institute’s Commission on No Child Left Behind, a bipartisan panel which in February released 75 recommendations for revamping the law. Education lobbyists say many of the bills reflect a burgeoning consensus around some policies, including allowing states to measure achievement gains using so-called growth models, which give schools credit for individual student progress instead of comparing one cohort of students with its predecessors. But while that proposal may seem “noncontroversial at the 3,000-foot level,” it’s important to note how different bills would implement a growth-model policy, said Amy Wilkins, a vice president at the Education Trust, a Washington-based organization that advocates educational improvements for poor and minority children. For instance, the bill introduced by Sens. Burr and Gregg, both members of the Senate education committee, would allow all states to take part in the Department of Education’s growth-model pilot project, which has set strict rules for how states can measure student growth. Other bills, such as a measure introduced by Rep. Rosa DeLauro, D-Conn., aren’t specific about how the growth models would be structured. Another reauthorization measure, sponsored by Sens. Joseph I. Lieberman, I-Conn., Norm Coleman, R-Minn., and Mary L. Landrieu, D-La., would call for the National Assessment Governing Board to develop a set of voluntary national standards and tests. NAGB would also create assessments for English-language learners and students in special education, which would be provided to any state that wanted to use them. The measure would also call for states to set up longitudinal-data systems that track individual student progress, and link that performance to teachers and programs. States would be required to develop a definition of highly effective teachers that relies chiefly on student achievement. Once states had such systems in place, they would be able to opt out of the law’s “highly qualified teacher” requirements. He said it is helpful that the three senators’ bill offers centrist coverage for that approach. But other lawmakers have taken a significantly different tack. Rep. Peter Hoekstra, R-Mich., a member of the House education committee, introduced a measure, similar to Rep. Garrett’s bill, that would let states decide not to participate in the NCLB accountability system. The bill, which was introduced in the Senate by Sen. Jim DeMint, R-S.C., has garnered more than 60 co-sponsors across both chambers. On the Democratic side of the aisle, Sen. Russ Feingold of Wisconsin plans to introduce a bill next month that would allow states and school districts to use locally created assessments, portfolios, and end-of-course projects, such as research papers, to demonstrate student progress. The measure, which is still being fine-tuned, would permit states that used “more innovative” assessment measures to gauge student progress in just three different grade spans, rather than every year from grade 3 through grade 8, and once in high school, as under current law, an aide to Sen. Feingold said. A number of relatively similar bills, meanwhile, would allow states to use growth models, as well give states more flexibility in meeting the law’s provisions on highly qualified teachers and in measuring the progress of English-language learners and students in special education. Rep. Lee Terry, a Nebraska Republican, has introduced a bill that would include those elements, and would allow states to use locally created tests for accountability. His bill also would establish a tiered system for labeling schools, grading them on a scale of A through F, rather than stamping schools as making adequate progress under the law, or not. At least five Democrats are among the 10 co-sponsors of Rep. Terry’s bill, including Reps. Carolyn McCarthy of New York and Donald M. Payne of New Jersey, who are members of the House education committee. That a conservative Republican like Mr. Terry can team up with Democrats on a measure for overhauling the law “speaks to the fact that the problems with NCLB have been universal,” the Nebraska congressman said in an interview. The leaders of the House education committee today released a draft of a plan for reauthorizing the No Child Left Behind Act, outlining proposals that would revise how adequate yearly progress is calculated and overhaul the interventions for schools failing to meet achievement goals. In releasing the long-awaited plan, Rep. George Miller, D-Calif., and Rep. Howard P. “Buck” McKeon, R-Calif., said that they were inviting comments from educators so that they can incorporate their ideas into the bill they hope to introduce shortly after Labor Day. “This draft is a work in progress, subject to change over the coming weeks as the committee moves a bill through the legislative process,” Reps. Miller and McKeon wrote in a letter to education stakeholders. An 11-page summary of the draft bill details many of the ideas Rep. Miller previously said would be included in his reauthorization proposal, such as using so-called growth models to calculate AYP, adding measures other than statewide tests to allow schools to reach their progress goals, and differentiating interventions based on schools’ achievement levels. In outlining the use of growth models, which track individual student progress instead of comparing different cohorts of students, the document says that states would need to measure schools’ and districts’ progress toward the goal of universal proficiency in reading and mathematics by the end of the 2013-14 school year. That’s the goal set in the current No Child Left Behind Act, which President Bush signed into law in January 2002. The draft adds a clause that could extend the deadline, saying that students in all the demographic, racial, and ethnic subgroups that the current law tracks would need to at least be “on a trajectory” toward proficiency for a school or district to be determined to be making AYP. Although reading and mathematics scores on statewide tests would remain the key indicator for AYP purposes, under the draft plan states could choose to allow their schools and districts to earn credit for improvement on other measures. States could, for example, choose to consider a school’s or district’s results on science and social studies tests; passing rates on high school end-of-course exams; and graduation and college-enrollment rates, according to the document. The draft also proposes a 15-state pilot project that would allow districts to create their own assessments that are “rigorously aligned with state standards to augment the adequate yearly progress determination.” If the pilot project proved successful, the U.S. Department of Education would have the authority to allow other states to adopt locally developed tests for AYP purposes. Meanwhile, the plan would establish a maximum “N” size, or the minimum subgroup size that counts toward schools’ and districts’ accountability, of 30 students. Currently under the law, states have set, and the Department of Education has approved, N sizes ranging from 5 to 75 students. The Education Committee plan also proposes to create two separate systems for targeting interventions for schools in need of improvement. One would be for “priority schools,” defined as those that miss AYP for one or two student subgroups and need only targeted assistance. The other would be for “high-priority schools,” which would include schools that fail to meet the law’s targets for most, if not all, subgroups and need substantial help. High-priority schools would choose at least four improvement strategies from a menu of options that includes employing proven instructional programs, adopting formative assessments, offering school choice and free after-school tutoring, and providing extra support to families, such as counseling services. Schools could also make changes to their learning environments, such as introducing dropout-recovery and credit-completion programs and 9th-grade-transition programs. Priority schools would be required to develop a three-year plan, implementing at least two such improvement measures. The interventions could be targeted to subgroups that weren’t making AYP. The draft released today outlines changes to Part A of the Title I program, which covers the largest appropriation under the Elementary and Secondary Education Act. The NCLB law is the latest version of the 42-year-old ESEA. Later, Rep. Miller will outline his proposals for issues addressed in other sections of the law, such as teacher quality, impact aid, safe and drug-free schools, and the Reading First program. The House education committee is expected to release its reauthorization bill in September. It plans to hold a hearing on NCLB reauthorization on Sept. 10, said Thomas Kiley, a spokesman for Rep. Miller. The House Education and Labor Committee is collecting responses to the draft plan until Sept. 5 via e-mail at ESEA.Comments@mail.house.gov. A new Texas law that's supposed to protect students' religious freedoms likely will spark only discord. By its nature, lawmaking is a messy business. It is impossible for every lawmaker to read or fully grasp every bill that comes up for a vote, especially in the end-of-session crush. It's not clear why legislators voted to pass the insidiously named Religious Viewpoints Antidiscrimination Act. Passed at the close of the legislative session that ended in May, the law forbids school districts from interfering with students who wish to use school events, and their captive audience of peers, staff and community, to express their religious views. The law, also called the Schoolchildren's Religious Liberties Act, requires districts to adopt a policy under which certain student leaders must be given opportunities to speak at all school events at which students speak publicly, including graduation, football games and morning announcements. As long as students do not engage in "obscene, vulgar, offensively lewd or indecent speech," they will be permitted an open mic to express their religious beliefs. The law attempts to get around the constitutional prohibition against state promotion of religion by requiring schools to provide disclaimers stating that the students' speech is not school or district sponsored. According to Houston Independent School District spokesperson Norm Uhl, HISD has yet to vote on a religious speech policy. Proponents of the law say it protects students from discrimination for expressing religious viewpoints verbally or in their schoolwork. But to what anti-religious biases are these advocates referring? Rather than protecting students from religious discrimination, the law's true accomplishment will be the creation of state-sanctioned forums for students who wish to pray and proselytize to captive audiences. With that comes the potential to offend everyone, including the Christian activists who championed this bill's passage. Students could cite their religious convictions to condemn gay and lesbian students. They could promote their faith as the only true religion. They could pray for the conversion of specific students. They could even promote atheism, Satanism or paganism. School officials around the state are right to be concerned that this ill-conceived legislation could prove disruptive. It promises to foment the very religious intolerance it purports to guard against. It would allow students to hector nonbelieving children over schools' public address systems and encourage bullying of nonconforming peers. It promises to offend many across a wide religious spectrum, including audiences at graduations, where no one should involuntarily endure proselytizing speeches during these milestone-marking occasions. In 2000, the U.S. Supreme Court ruled against student-led prayer at football games in a lawsuit involving nearby Santa Fe Independent School District. Spring Branch school trustee Theresa Kosmoski worries that school districts will face expensive litigation no matter how they implement the law. "That's money that could be spent educating children." Students already have the federally protected right to voluntary prayer and discussion of their religious convictions. The 1984 Equal Access Act allows public school students to form special-interest clubs, including faith-based clubs, and to meet on campus. Texas' Religious Viewpoints law is a pernicious endeavor to foist what were once voluntary activities on others who might not share their peers' faith. WASHINGTON – Lawmakers rewriting the No Child Left Behind law want to loosen testing rules for students with limited English skills. Senior lawmakers on the House Education Committee circulated a proposal Tuesday that would change the way students who are learning English are tested. The law requires all students to be tested in reading and math in grades three through eight and once in high school. Schools face increasingly tough consequences if students fail to meet annual progress goals. The proposal being circulated would allow states to measure how well students first learning English are doing at acquiring language skills instead of judging them on standard reading tests. The substitute test would only be allowed, however, for two years after the law is enacted. During that time, states would be expected to develop alternative tests for limited-English speakers – such as tests using simplified English. The proposal would encourage states to develop foreign-language reading and math tests, and it would allow students to be tested in their native language for five years instead of three. School officials nationwide have complained it makes no sense to give subject-area tests in English to students who don't know how to read English well. However, not everyone likes the proposed change. That would take the pressure off schools to get kids up to speed quickly in English, says Amy Wilkens, vice president of the Education Trust, a nonprofit that advocates for poor and minority kids. The House proposal also would be changed to treat schools that fail to meet annual goals by a little differently from those that fail to meet such goals by a lot. And schools would get some credit toward annual progress goals for tests other than those in reading and math. For example, schools could get credit for student performance on history, civics and science exams as well as for graduation rates. The House bill is expected to formally be introduced in the next few weeks. The proposal was circulated Tuesday by Education Committee Chairman George Miller, D-Calif., and the committee's ranking Republican, California Rep. Buck McKeon. 08/26/07 "ICH' --- - For years, liberals have pointed out the huge gap between funding for military ventures and US public education. Indeed, a motto, floating around for a decade or more, sums it up well: "It will be a great day when our schools get all the money they need and the air force has to hold a bake sale to buy a bomber." While its a bit overstated, the saying gets the case across and no one can dispute that our federal government spends an inordinate sum for our armed forces, armaments and other military provisions while many needs back in the US get short shrift. Aside from New Orleans never being put back together right, there are the problems of the worn out US infrastructure, the low income housing deficit, the high rate of homelessness and the migration of jobs overseas such that one in seven is expected to disappear over the next ten years. At the same time, there exist many other serious problems needing an immediate infusion of cash and workers (for which returned US military troops could be employed) to provide national relief. Moreover, education, is woefully under funded and could certainly used any help available for its improvement both in terms of building upgrading and many other sorts. All of the above in mind, the cost of the War in Iraq, alone, has been close to half a trillion dollars . The overall military budget for 2008 is 51 % ($1,228 billion) of US governmental revenue whereas ALL other expenditures amounts to 49 % ($1,159 billion). Meanwhile, Human Resources provisions (from which education receives a modest amount) is set at $748 billion while General Government spending is set at $295 billion from which interest on the government debt commandeers 20 % of funds and Homeland Security another 17 %. Furthermore, Physical Resources (out of which transportation related and environmental needs are funded) receives $116 billion from which another 17 % goes to the physical needs (such as buildings, etc.) for Homeland Security . When the above funding decisions are assessed all together, it is no wonder that the US Department of Education received only $68,084,800 in 2007. It is also not surprising that President Bush wants this amount pared down to $60,220,138 for 2008 . At the same time, this spending is being requested to be all together removed from the US Budget in order to try to help balance the huge debt load, almost nine trillion dollars (approximately $30,000 per US citizen), that our government has driven into place . The totality, certainly, staggers the imagination . Basically. is it any revelation, then, that the quality of education varies vastly from community to community based on the relative wealth that each has? Likewise, is it incredulous that the breach is widening? All considered, there is no equality in educational provision. For example, current per pupil annual cost in Greenwich, CT is $15,166. In 2004, the average amount spent annually per student in the US was $8,287. with the low at $5,008 (Utah) and the high at $12,930 (New York). In other words, the range is amazing and one can expect that ghetto schools in each state receive less than the average sum whereas more affluent communities get more than ample funding. All considered, property tax valuations, as the primary measure to assess the amount of money that school districts obtain, are bound to create a wide range of highly significant disparities . Furthermore, local school boards further compound this problem by having a large say over the curriculum used in schools. This, too, impacts the quality of education capable of being delivered. For instance, we can have intelligent design theory taught along side of evolution, no trigonometry or foreign language classes offered, no computers available (as they are too costly to provide when assessed along side of other needs, such as books on the history of the evangelical movement at the exclusion of one focused on the history of minority group contributions to society, and so on). Yet, how much more agreeable would be education as delivered in Canada wherein every teacher in every school uses the same materials (supplemented by ones of local choice) for its core curriculum and every student is on the same page with the same academic expectations regardless of whether they live in British Columbia or Montreal?! All of these factors taken en toto, education, overall, is poorly delivered in the US. This has been well documented by innumerable educational watchdogs, such as Jonathan Kozol and John Gatto, whose conclusions are both highly alarming and disgraceful. For example, Jonathan Kozol has construed, after countless studies conducted at a large number of diverse schools, that our educational system creates extreme discrimination based on economic class. On account, those who are advantaged (to receive quality public education) are accorded an unfair advantage in terms of obtainment of money, power privilege, class status, along with other tangible and intangible benefits . As a result, many students, throughout the United States, have no chance of succeeding through no fault of their own. Under the circumstances, the loss to the individual and the society at large is staggering. For a nation that, supposedly, treasures equal opportunity, this is nothing short of intolerable. "Ninety-six and a half percent of the American population is mediocre to illiterate where deciphering print is concerned. This is no commentary on their intelligence, but without ability to take in primary information from print and to interpret it they are at the mercy of commentators who tell them what things mean. A working definition of immaturity might include an excessive need for other people to interpret information for us. The ramifications of both Kozol's and Gatto's finding are multifold. For example, the general workforce, derived from many HS and college graduates, is ill prepared to do much beyond almost thoughtless, menial labor. The disparity between those who've been provided a sound education and those who have not will be huge in terms of mental and many other kinds of capabilities. The value of a HS or a college degree, in and of itself, will hold no meaning as the bottom line involves from where the degree originated. The income disparity between those who have sufficient funds and those who do not will increase. Even more awful than these other factors is that the next generation will be poorly prepared, for the most part, to lead America into the next century in any meaningful fashion. In addition and equally disturbing is the fact that thinking is, thus, curtailed to the most rudimentary types for a large number of Americans. In short, many individuals simply are not able to understand whatever they are not trained to comprehend. In this sense, the lack of knowledge concerning science (i.e., the facts of evolution) and rudimentary mathematics (necessary to balance a check book), language usage (needed to communicate basic information on the job) and much more is predictable. Indeed, obvious educational shortfalls in the US, in large measure, appear responsible for many people's inability to grapple with the more complex ethical issues, diminished capacity for critical analysis (i.e., to undertake synthesis and extrapolation to generate clarifications and accurate models of "reality" as, for instance, are the ones posed by transitional frames of reference) limited hermeneutical understandings, incapacity to differentiate logical VS. illogical pattens, etc. Meanwhile TV shows are one of the most popular methods to gain information on the parts of many, it would seem, and simply aren't set up to impart much of value beyond a fleeting entertainment factor and superficial news coverage of selective topics. All told, John Gatto, Jonathan Kozol and other critics, repeatedly and disparagingly, point out that public education (in the US and elsewhere across the globe) is guaranteed to keep economic classes in their relative placement and trapped in a basic inability to apply higher level cognitive skill sets to written and heard accounts. Thus, many individuals absolutely have to rely on commentators (i.e., authority figures for the most part) to form their understandings of events. Alternately put, students, in many school districts, are not taught to think independently, nor question the opinions provided by the status quo. How convenient for those in powerful leadership positions! How easy, then, it becomes to keep corrupt systems in operation as many people cannot even conceive of alternatives let alone figure out ways to put them in place! The results, then, are clear. For example, one in five American adults, supposedly, do not know who the US VP is. Mainstream news commentators and governmental leaders seem credible even when spouting the most audacious lies, and so on . (Stanley Milgram carried out some interesting studies, which indicate that it is easy to influence people to conform to the attitudes and commands of those in power even when these involve injuring or killing another person. How much easier such outcomes must be to achieve when people lack some essential mental skills to form autonomous conclusions.) Lastly, it is hard for people to stand against the underlying norms (i.e., that you will be contented if you just buy this X product that you deserve to have and on which your self-esteem depends) as they cannot see through the propaganda. All in all, it is easy to quell any discontent with "the way things are" when people cannot conceive of better alternatives, nor question the currently prevalent standards and practices. Thus, the current inequities in schools and society at large will likely continue unchallenged and uncorrected. At the same time, the current income disparity amongst classes is all but assured to continue such that most members of the lower and upper economic classes will keep in their relative positions, as will their children. After all, who can afford to pay ~ $140,000 dollars for an undergraduate education and ~ $180,000 for four years of graduate school except for the relatively rather wealthy? Who can even meet minimal standards for studies at a school of higher education after learning at one of the glaringly inferior schools? Moreover, taking on this cost as a student loan is particularly ludicrous in many circumstances in that the Federal minimum wage (currently set at $5.85/ hour) all but assures that many jobs available to new graduates will not be able to be provide sufficient income for them to pay back borrowed money (which, nonetheless, keep accruing interest over time). All considered, is it any wonder that the default rate on student loans is over ten percent, while amounting to many millions of dollars? Is it not assured that myriad related problems for former students, who were unable to repay loans, will subsequently transpire -- such as inability to take out a mortgage due to a bad credit rating or, even worse, bankruptcy ? At the same time, the jobs available to the graduates are disappearing. It has been alleged that one in seven US jobs will disappear over the next ten years on account of industrial globalization. The majority of the ones that will be left will be the types that are impossible to outsource -- types like food service delivery at fast food chains, construction jobs, clerk positions at mega-malls, health care provision, teaching and the likes. A further consideration concerns the sort of quality in educators that can be expected with the salaries that many teachers command. For instance, someone with a Ph' D in education can expect a starting salary of $22,000 in some public school systems. Even if someone with a doctoral degree were to consider accepting such a low income, what sort of person would he be? It would seem likely to be someone who is either highly dedicated to humanitarian service or, due to some sort of serious flaw, were unable to "make it" in the business world. After all, what other rationale could explain someone willingly taking such a pitiful salary? Who can consider supporting a family or even renting a home with such a ridiculous wage? All in all, we are a land that supposedly supports "liberty and justice for all" (or so our Pledge of Allegiance, that school children recite every day, states). In practice, though, we have an educational caste system of the worst sort imaginable. It is just one more scandal (along with the treatment of the victims from Hurricane Katrina, our military invasion of Iraq without sufficient provocation and evidence of myriad other woes) plaguing our so-called great country. Emily Spence resides in Massachusetts and deeply cares about the future of our world. Click Here to View Part 2: "Down In The Trenches, Anecdotal Evidence From The Classroom"
 To see the total cost for the War in Iraq, please refer to information provided at: http://nationalpriorities.org/index.php?option=com_wrapper&Itemid=182. To review US budgetary figures, please see: The Federal Pie Chart (http://www.warresisters.org/piechart.htm). Debt figures and similar provisions are located at: U.S. National Debt Clock (http://www.brillig.com/debt_clock/). This and related information is reviewed at: US Census Press Releases. A summation of Kozol's findings can be found at: Still Separate, Still Unequal: America's Educational Aparthe... (http://www.mindfully.org/Reform/2005/American-Apartheid-Education1sep05.htm). Please refer to: The National Adult Literacy Survey - John Taylor Gatto (http://www.johntaylorgatto.com/chapters/3j.htm). At these sites, the ease with which this trickery can be executed is shown: Bill Moyers Journal . Buying the War . Watch the Show | PBS (www.pbs.org/moyers/journal/btw/watch.html) and Bill Moyers’ “Buying the War” Exposes the Media’s Failure to... (www.commondreams.org/archive/2007/04/24/730/). To learn more, please go to: Stanley Milgram - The Stanley Milgram Website (www.stanleymilgram.com/references.html) and, for an extensive analysis, Obedience to Authority (1960-63) (www.humanresearch.msu.edu/training/Milgram_Paper_by_H). Please check information at these links to see definitions of business and personal bankruptcy, as well as number of cases in US for 2005: Bankruptcy - Wikipedia, the free encyclopedia (en.wikipedia.org/wiki/Bankruptcy) and http://www.uscourts.gov/bnkrpctystats/bankrupt_f2table_dec2006.xls. About 100 CCISD high school students who are more than two grade levels behind are getting a new chance at academic success through the district's new Horizons Program. Corpus Christi Independent School District trustees received an update on the district's newest program based on smaller classrooms and individualized instruction at the Solomon Coles High School and Education Center at Monday night's regular school board meeting. The program focuses on providing students, many repeating one grade level more than twice or several grade levels once, with the opportunity to catch up on course work through accelerated and condensed individualized instruction. Once the students are caught up, the goal is to get them to graduate, possibly with their originally assigned graduating class, said Bernadine Cervantes, assistant superintendent for school leadership. "Solomon Coles will shine like a beacon of hope for these students who need a change," Cervantes said. This spring school administrators reviewed enrollment information to identify ninth- and 10th-grade students who were between 17 and 18 years old -- the age of an average graduating senior. For the majority of the students, earning high school credits hasn't been easy. Most have earned fewer than five, Cervantes said. As of Monday, the first day of school for CCISD, about 70 of the 100 students identified were enrolled at Coles. "We are the last hope, last option, for many of these students," said Monica Bayarena, principal at Coles. Students in the Horizons program can expect different, hands-on instruction, with an emphasis on reading, writing and math. Students also will have a smaller student-to-teacher ratio, which will allow teachers and counselors to have a better understanding of individuals needs. Other goals include improving Texas Assessment of Knowledge and Skills scores, increasing attendance rates and making key connections to local colleges. "We want to make our students feel welcome and give them an education environment where everyone knows their names," Bayarena said. I started teaching at a middle school in Oakland, Calif., about 20 years ago. My first year was pretty rough. I was prepared to teach science, but my first semester I was given two periods of beginning Spanish, one of English, and two of science. My credential program had not really dealt much with behavior issues. The idea was to deliver a rich curriculum, and the management would take care of itself. If you are already teaching, you know this does not always work. I floundered a bit the first year or two, and took help wherever I could find it. My best resources came from my colleagues down the hall. They had been at the school a few years and passed along valuable ways to make things work. I learned to post a short list of clear, unambiguous rules and enforce them consistently. This is much harder to do than it sounds, and it took me many years to master. I learned how important it was to phone parents early in the year, with positive news if at all possible. Then the first phone call would not be one from me complaining about their child's behavior. One parent I phoned in September told me that mine was the first positive call she had ever received about her child. When I had to call about some problems a few months later, she was there to back me up 100 percent. I learned to balance a negative phone call with a positive one. The days after I would make phone calls, the students would often come in and ask me, "Why did you call my house?" It was great to be able to point out that I was working with their parents in their best interests, and that I would make positive calls when behavior improved. I also found that my own disposition greatly improved after I made a positive call. I learned to keep a record of student behavior, along with any referrals to the office, so that the problems I had with a few students were clearly documented. I kept a record of phone calls home in the same book. I learned how easy it was to get into entertaining but fruitless dialogues with students when I was trying to enforce rules. It took me a while, but eventually I learned the best method was to give a warning or consequence clearly, and allow for discussion only after class. I learned it was important for students to understand that I cared about their well-being, and that I was on their side. This was done through caring communication and showing an interest in them as individuals by giving attention to their interests and abilities. And also through developing assignments that gave them more than one way to demonstrate their knowledge. Some students shine when speaking to the class, others excel at creative projects that illustrate what they've learned. I tried using the textbook quizzes and tests, but found my students were performing miserably. These tests featured 40 multiple-choice questions that required memorization. My students refused to memorize the textbook facts—they were bored with that, and their behavior reflected their boredom. So I began to think about the main points I was trying to get across and looked for engaging ways to make those main points stick. Then I made my tests reflect those main points and found the students did much better. I also looked for different ways for students to demonstrate their understanding through more creative projects, and I found the students became even more engaged. For example, when learning about states of matter, I had students team up and design their own experiments focusing on dry ice. They came up with ideas like measuring the amount of time the dry ice took to turn to vapor in different liquids; attempting to measure the temperature of the dry ice; or collecting and testing the vapor that the dry ice produced. After a review process, the teams carried out their experiments. Then, each team created a display and presented their results to their classmates. In the process, they all learned about the properties of dry ice—that it turns to vapor much more quickly in water than in air, that frozen carbon dioxide is much colder than water ice, and that the vapor is heavier than air and puts out a candle. Their findings led us into other explorations of the states of matter. They were having too much fun to misbehave! The secret to behavior management is really about having the students fully engaged in the learning process, and it involves more than just rules and office referrals. After all, the whole point of getting the class to focus is to do some meaningful work—to reach new understandings, to create new expressions of their knowledge, and to build new skills. But we have to know how to manage our teacher-student relationships in order to get there. An awarding winning middle school science teacher, Anthony Cody is now the secondary science content coach for the Oakland, Calif., Unified School District, where he is also a leader in the Partnership for Oakland Science Inquiry Teaching (Project POSIT), which improves science instruction for grades 4-8 in partnership with local science agencies. GREENSBORO, N.C. — The retirement of thousands of baby boomer teachers coupled with the departure of younger teachers frustrated by the stress of working in low-performing schools is fueling a crisis in teacher turnover that is costing school districts substantial amounts of money as they scramble to fill their ranks for the fall term. Superintendents and recruiters across the nation say the challenge of putting a qualified teacher in every classroom is heightened in subjects like math and science and is a particular struggle in high-poverty schools, where the turnover is highest. Thousands of classes in such schools have opened with substitute teachers in recent years. Here in Guilford County, N.C., turnover had become so severe in some high-poverty schools that principals were hiring new teachers for nearly every class, every term. To staff its neediest schools before classes start on Aug. 28, recruiters have been advertising nationwide, organizing teacher fairs and offering one of the nation’s largest recruitment bonuses, $10,000 to instructors who sign up to teach Algebra I.
Guilford County, which has 116 schools, is far from the only district to take this route as school systems compete to fill their ranks. Kate Walsh, president of the National Council on Teacher Quality, a nonprofit policy group that seeks to encourage better teaching, said hundreds of districts were offering recruitment incentives this summer. Officials in New York, which has the nation’s largest school system, said they had recruited about 5,000 new teachers by mid-August, attracting those certified in math, science and special education with a housing incentive that can include $5,000 for a down payment. New York also offers subsidies through its teaching fellows program, which recruits midcareer professionals from fields like health care, law and finance. The money helps defer the cost of study for a master’s degree. The city expects to hire at least 1,300 additional teachers before school begins on Sept. 4, said Vicki Bernstein, director of teacher recruitment. Los Angeles has offered teachers signing with low-performing schools a $5,000 bonus. The district, the second-largest in the country, had hired only about 500 of the 2,500 teachers it needed by Aug. 15 but hoped to begin classes fully staffed, said Deborah Ignagni, chief of teacher recruitment. In Kansas, Alexa Posny, the state’s education commissioner, said the schools had been working to fill “the largest number of vacancies” the state had ever faced. This is partly because of baby boomer retirements and partly because districts in Texas and elsewhere were offering recruitment bonuses and housing allowances, luring Kansas teachers away. “This is an acute problem that is becoming a crisis,” Ms. Posny said. In June, the National Commission on Teaching and America’s Future, a nonprofit group that seeks to increase the retention of quality teachers, estimated from a survey of several districts that teacher turnover was costing the nation’s districts some $7 billion annually for recruiting, hiring and training. Demographers agree that education is one of the fields hardest hit by the departure of hundreds of thousands of baby boomers from the work force, particularly because a slowdown in hiring in the 1980s and 1990s raised the average age of the teaching profession. Still, they debate how serious the attrition will turn out to be. In New York, the wave of such retirements crested in the early years of this decade as teachers left well before they hit their 60s, without a disruptive teacher shortage, Ms. Bernstein said. In other parts of the country, the retirement bulge is still approaching, because pension policies vary among states, said Michael Podgursky, an economist at the University of Missouri. California is projecting that it will need 100,000 new teachers over the next decade from the retirement of the baby boomers alone. Some educators say it is the confluence of such retirements with the departure of disillusioned young teachers that is creating the challenge. In addition, higher salaries in the business world and more opportunities for women are drawing away from the field recruits who might in another era have proved to be talented teachers with strong academic backgrounds. All the coming and going of young teachers is tremendously disruptive, especially to schools in poor neighborhoods where teacher turnover is highest and students’ needs are greatest. The federal No Child Left Behind law requires schools and districts to put a qualified teacher in every classroom. The law has led districts to focus more seriously on staffing its low-performing schools, educators said, but it does not appear to have helped persuade veteran teachers to continue their service in them. Tim Daly, president of the New Teacher Project, a group that helps urban districts recruit teachers, said attrition often resulted from chaotic hiring practices, because novice teachers are often assigned at the last moment to positions for which they have not even interviewed. Later, overwhelmed by classroom stress, many leave the field. Chicago and New York are districts that have invested heavily and worked with teachers unions in recent years to improve hiring and transfer policies, Mr. Daly said. “But most of the urban districts have no coherent hiring strategy,” he said. Many receive thousands of teacher applications in the spring but leave them unprocessed until principals return from August vacations, when more organized suburban districts have already hired the most-qualified teachers, he said. In Guilford County, Washington Elementary School, which serves students from a housing project, had churned through several principals and most of its teachers several years ago, and had repeatedly failed to make federal testing goals, said Dr. Grier, the superintendent. “All they wanted was warm bodies in the classroom,” she said. At job fairs, qualified teachers she tried to hire shunned her, she said. Under Guilford County’s incentive program, math or reading teachers who sign on at any of 29 high-poverty schools receive bonuses of $2,500 to $10,000. They can earn additional bonuses if they raise achievement. Those incentives helped Ms. Lathan recruit solid teachers last year, she said, and after much tutoring and hard work, students met federal testing targets. This summer all but one teacher signed up for another year. Other Guilford County schools have also used the incentives to hire promising people. Rebecca Rheinheimer moved from Indiana this summer, attracted by a $2,500 bonus to teach at Oak Hill Elementary, where the teaching staff has been strengthened by the use of such bonuses. The school, in High Point, met its federal testing targets this spring for the first time in several years. Margaret Eaddy-Busch, a veteran math teacher, moved from Philadelphia this summer to teach at Dudley High, which had become known as a hard-to-staff school. She will receive a $10,000 bonus for teaching Algebra I. But it remains unclear whether the incentive program will retain good teachers as effectively as it attracts them. What? Children's Health Has Something to Do With Academic Success? You're kidding! While governor of Texas and initiator of the so-called "Texas education miracle" aimed at helping poor and minority children succeed academically, George W. Bush had an opportunity to use a large budget surplus to provide affordable health care for 250,000 poor children. Instead, he called a special legislative session. Declaring "people are hurting out there," Bush pushed through a $45 million tax break for oil well owners. Fast-forward to 2007 and we find the No Child Left Behind president responding similarly to poor children's needs by threatening to veto a bipartisan bill, the State Children's Health Insurance Plan (SCHIP), that would extend health insurance to millions of uninsured children. Bush worries that the program would be too expensive and (worry of worries!) that it would "encourage more people to go on government health care." Instead, he proposes a federal plan that would remove about one million children currently receiving health insurance and increase the number of uninsured children from nine to ten million. While proclaiming to be making education policy that keeps "a historic commitment to our children," the president apparently sees no connection between children's academic achievement and their health. Of course the connection is no news for teachers, who see its critical importance everyday in their classrooms, or to researchers who have studied it. For example, Stephanie M. Spernak and colleagues examined health and academic achievement in former Head Start children. They found that children's health status when beginning school predicted third grade achievement scores and "children in poor general health had significantly lower achievement scores than children in good general health in third grade." Similarly, Brenda Needham and colleagues found that self-reported physical health problems were associated with school failure, mostly because health problems contribute to school absenteeism, trouble with homework, and student-teacher bonding. Asthmatic children in the United States miss approximately 14 million days of school, but the rate of school absenteeism is twice as high among poor and minority asthmatic children living in urban areas. And health insurance makes a difference! A California study showed that after obtaining health care, children who had been in poor health improved their school attendance, attention in class, and the extent to which they kept up with school activities. Of course these changes contributed to improved academic performance. A University of Missouri study found that children who enrolled in the state's health insurance program had 39% fewer school absences. Uninsured children with asthma miss more school days. Bush's threat to veto the SCHIP legislation illustrates what is often omitted in discussions of NCLB and its chief instructional mandate, Reading First. Besides being an attempt to wreck the public schools, replace a full education with mindless skills training, and increase control over teachers' work and power, NCLB serves as cruel ideological instrument by which to focus the nation on a pretense of helping poor and minority children while making war on them by slashing every federal policy initiative critical to their lives and educational success. Again, a look back at Texas reveals the template for this policy. While focusing on the so-called "Texas education miracle," which has been soundly debunked by several independent studies, Bush was indifferent to poor children. For example, while he was governor, Texas ranked second highest among states in the percentage of people - especially children - who went hungry. Yet he vetoed a minimal step to help the malnourished, i.e., a bill to coordinate hunger programs in Texas. As governor he slashed the state's food stamp payments, support essential for poor children, by $1 billion. When a reporter asked him about hunger in the state, the governor answered, "Where?" As president, he has cut or attempted to cut federal support for countless programs, such as affordable housing, food stamps, lead decontamination, urban pollution reduction, and Head Start that would better poor children's lives and contribute to their academic success. Right now educators can make a difference in taking one important step to help poor children's health and education. Go to the Campaign for Health Care at http://www.childrenshealthcampaign.org/. There you'll be able to sign a petition to Congress and the President that calls for health coverage for all children. You'll also find information on how to call your senators and urge them to support SCHIP and how to recruit family and friends in this effort. Both the House and Senate bills would provide additional funds to provide health insurance for millions of poor children. These bills are inadequate in that they would not cover all uninsured children, but are the best the Democrats can do right now in order to get sufficient Republican support to override a presidential veto. Given the grim realities of current domestic policy, both bills and the final compromise bill will be a critical victory for many poor children. By voicing support for these bills, educators can help defeat one aspect of the war on poor children's education. AUSTIN - After successful meetings in Austin, Houston, Arlington, and Midland, the Commission for a College Ready Texas (CCRT) will hold meetings in Harlingen and San Antonio during September. The Harlingen regional meeting is scheduled for Sept. 11 from 9:30 a.m. to 12:30 p.m. at the Harlingen Independent School District Administration Building at 407 N. 77 Sunshine Strip, Harlingen. The San Antonio meeting, originally scheduled for Friday, has been rescheduled for Sept. 14 at a location to be determined. Recognizing the importance of broad, diverse public engagement, Gov. Rick Perry appointed the Commission in March to provide a forum to exchange views on aligning high school curriculum with college standards. The goal of the CCRT is to provide support to the statutorily-created vertical teams and to the State Board of Education (SBOE) regarding the requirements of House Bill 1. Passed and signed into law in 2006, House Bill 1 requires the vertical teams of educators to define college readiness and the SBOE to re-align high school curriculum and develop online instructional resources for students and professional development for educators. The activities of the CCRT aim to provide a forum for Texans to share their views on college-readiness, to facilitate the work of college readiness across the state, and to provide research and support to the vertical teams and to the SBOE in fulfilling the requirements of HB 1. The Commission is chaired by Austin attorney and education policy leader Sandy Kress, and ex-officio members of the CCRT include acting Commissioner of Education Robert Scott, Texas Education Agency, and Commissioner of Higher Education Raymund Paredes, Texas Higher Education Coordinating Board. At the Harlingen and San Antonio meetings, the Commission will solicit public testimony on college readiness at the meeting on the following topics: the importance of preparing students for college and career, specific ideas about the definition or measures of college readiness, and actions the State of Texas can take to ensure students are prepared to succeed in higher education. Where is the village that will educate the child? For most Fort Worth 5-year-olds, this week marks the beginning of kindergarten and the start of an academic career in the Texas public school system. It's a week of brilliant promise and not a few tears, of trepidation mixed with hopes and dreams. But if our public schools don't change, dramatically and quickly, too many among this fresh-faced bunch will be left behind by a system that's well-equipped with rhetoric yet woefully short on results. Urban, predominantly Latino schools such as those in Fort Worth have fared especially poorly of late. The Texas Education Agency has reported that only 81 percent of the Fort Worth school district's Class of 2005 actually graduated with their classmates. Last fall, the Harvard University Civil Rights Project -- using Christopher B. Swanson's Cumulative Promotion Index -- reported that the number of Fort Worth students who completed a high school degree was actually closer to 49 percent. By either account, we are all failing Fort Worth's children, and it will take an assiduous, sustained and (most of all) collective effort to address their educational needs and our civic and leadership needs as a society. No one would begrudge a 5-year-old the time, energy and financial resources needed to succeed in kindergarten. That's precisely the kind of investment that all of our kids require. If you are part of a local business (from a mom-and-pop store to a multimillion-dollar enterprise) or a community organization (from a church to a neighborhood crime watch to a political interest group), explore how you might alter the culture and thinking of low-income neighborhoods, build community vision and engage youths and their families in reconstructing their perspectives on education and its value to their future success. Simple incentives -- a free meal for a month's perfect attendance or financial support for a summer enrichment program -- can go a long way. The important thing is to get students, families and institutions involved in a community effort, to initiate dialogue and produce trust and momentum. Encourage school administrators and teachers to build strong, positive relations with low-income and immigrant families to address their concerns and creativities. This will require the simultaneous cultivation of students' and parents' organizational abilities -- leadership training for the entire family -- and a coordinated array of community-based organizations collaborating with schools and families directly. Traditional barriers to educational success must be seen not as excuses but rather as challenges to face head on and opportunities to enrich lives. Be prepared to hold leaders accountable in public forums and at the ballot box. At the same time, recognize that the path to increased educational access and improved educational outcomes is long and sometimes thorny; when leaders speak candidly and make tough decisions, offer your vocal support. To the proud parents of the newest kindergarten class, we say: Congratulations and best wishes. Like you, we truly believe that your child is meant to change the world for the better, and we want you to beam with pride as he or she crosses the stage, high school diploma in hand, in 13 short years. We hope that your child ponders not whether to go to college but where. Together, let's change the world one school district, one neighborhood, one school, one classroom -- one kindergartener -- at a time.